Published: June 14, 2010 at 08:26 p.m.
FLORHAM PARK, N.J. -- As unhappy as Jets All-Pro cornerback Darrelle Revis is about the inability to strike a new deal with the team, there is little doubt that he will be suited up when the season begins. Revis is under contract for 2010 and, quite simply, he loves the game too much for a prolonged holdout. Plus, if he's the best cornerback in the NFL like he says he is, then to prove it he has to play. In the end, expect a resolution that makes both sides happy. 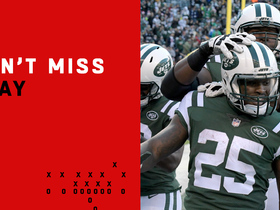 After all, the Jets reached out before Revis came asking. He doesn't like what's been offered, but at least the team has opened dialogue. That alone makes him the envy of dozens of other players around the league who've been leveraged into signing below-market restricted free-agent tenders or being told outright that they will be tended to after the 2010 season -- maybe. Whether he's happy or not, Revis should anchor a defense that could be even better than last season's top-ranked unit. Why? Nose tackle Kris Jenkins is back from a season-ending torn anterior cruciate ligament, and the Jets have added long-limbed Antonio Cromartie and impressive rookie Kyle Wilson at cornerback. "I really think we have a shot this year," Jenkins said after Monday's minicamp workout. "We have everything we need to go get a ring. Guys understand that. Guys are really taking it seriously, and we're working. With the addition of Cro (Cromartie) and [LaDainian Tomlinson] and Jason Taylor and a couple other guys as well, we have a lot of talent on each side of the field. We don't have any excuses." Jenkins' message is a result of the trickle-down effect of coach Rex Ryan's bravado. Ryan's brash and entertaining talk has endeared him to his players, and a big reason why the Jets could be formidable is because players are down with Rex. "He loves his job, loves football, and he loves his players," said Cromartie, traded from the Chargers to the Jets this offseason, of Ryan. "When you have a coach like that, you have guys that want to play for him and be around the organization for everything. When the team gets together, team functions, whatever, guys are there." 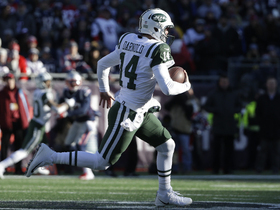 The Jets might be the most impressive-looking team on paper right now, but within the division the defending AFC East champion Patriots aren't going anywhere. And there's a lot of intrigue as to how good the Dolphins could be. Overall, the Colts, Ravens and Chargers should be there in the playoffs, if the Jets get that far. How New York fares through a pretty unforgiving early schedule could determine where things are headed. Much of that hinges on quarterback Mark Sanchez. Almost universally, current and former quarterbacks will tell you that the second season might be the toughest of any. There is a season of film to study, new tendencies to decipher and tweaks to the offense that don't always pan out. To his credit, Sanchez has done just about everything a quarterback can do to prepare for the upcoming season. He has rehabilitated his surgically repaired knee, and he has looked as active as ever in offseason camps and OTAs. Ryan said Sanchez has been diligent in the film room as well and that Sanchez has worked harder in every aspect than anyone on the team. Before minicamp opened Monday, Sanchez spent the weekend breaking down film for hours on Saturday and Sunday. 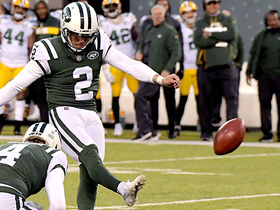 On the opening day of minicamp, Sanchez looked active and so at ease in the offense that there is reason to think he has got a much firmer grip on things, which is good because more is going to be expected of him. Sanchez will be asked to throw the ball more, hence the acquisition of Santonio Holmes to roll with fellow wideouts Braylon Edwards and Jerricho Cotchery. Still, don't expect New York to shut down the rushing attack. Shonn Greene will take over as the starter for departed Thomas Jones, and Tomlinson will be the third-down back. There are durability concerns with both players, but for now each looks ready. Greene is far thicker in his upper body to prepare for the pounding he could take, and Tomlinson is putting in extra time to be a threat as a receiver and a better pass protector. Whether he can be a bonafide fill-in for Greene, if needed, remains a question. As for the defense, Jenkins' return should further fortify an already stout run defense. Jenkins is a beast who is ultra-motivated. He's not in ideal shape, but a weight-loss contest with Ryan and tackle Damien Woody -- that he is winning -- could result in Jenkins being in the type of condition to add a fifth Pro Bowl to his résumé. 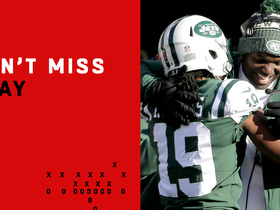 Besides Jenkins, a lot is going to be asked of Revis and Cromartie. They will be locked up in man coverage a lot so Ryan can turn his linebackers loose to blitz. That means Cromartie, whose play slipped last season in San Diego, has to be better than ever, because teams will reduce the number of throws at Revis. "That's fine with me," Cromartie said. "That's something I'm preparing myself for. Sooner or later they're going to have nowhere to throw the ball. It's something that's going to happen. You have to prepare yourself in the film room and on the football field. You have to prepare yourself day in and day out, and that's what I'm doing."